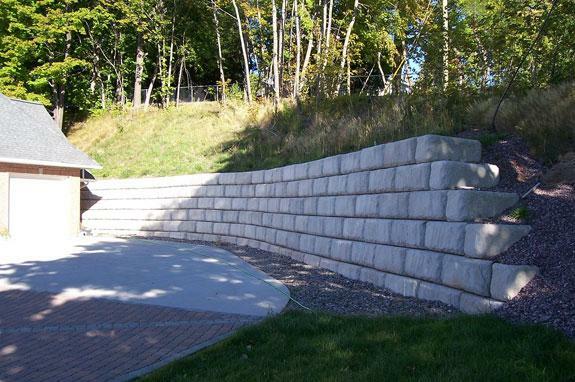 Retaining Walls are designed and constructed to resist pressure of soil or sea walls. 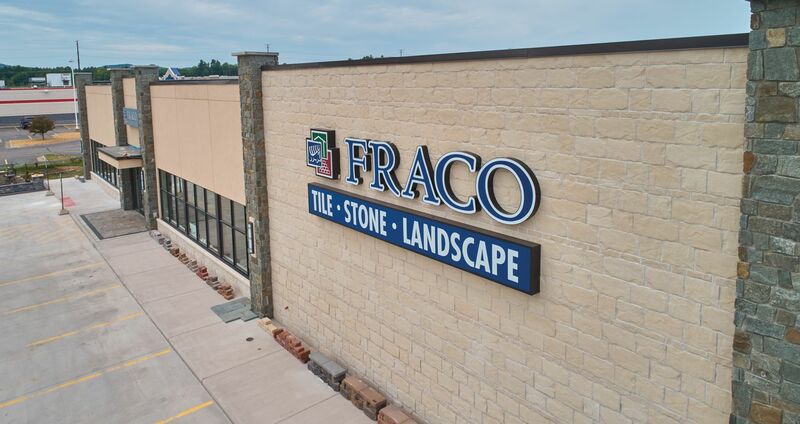 Large Blocks or small blocks, Fraco has it all. 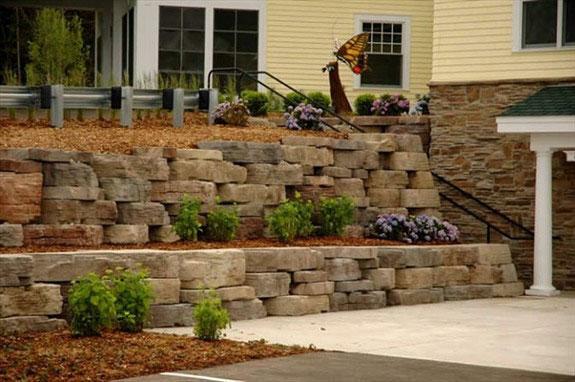 Retaining wall block can also can be used to create beautiful outdoor living spaces and incorporate multi-use spaces. 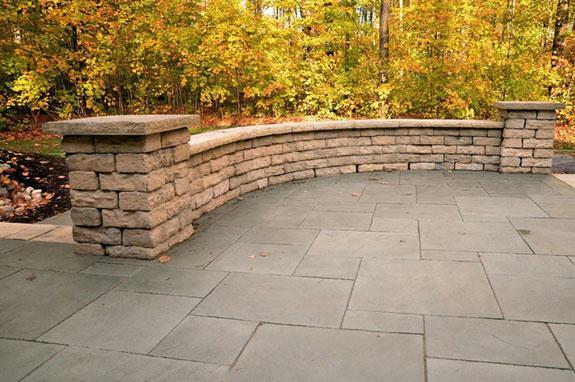 Whether you need to protect a shoreline from erosion, create a bigger backyard, free standing patio, or make room for parking lot, Redi-Rock can help you. The size and weight of the block is an advantage over normal block. Fraco makes these at our plant. Block specs are 28 to 41" deep 46" wide 18" high. 1500-2500lbs. 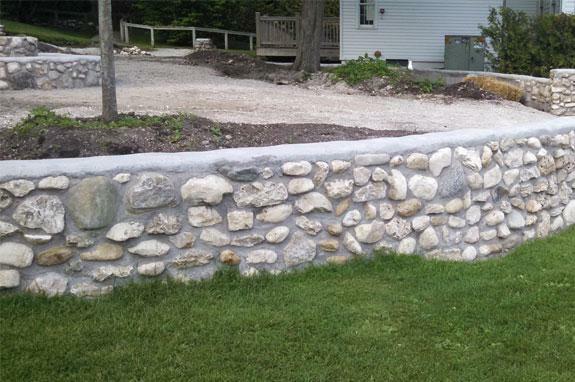 There is a giant difference between Outcropping and your average landscaping wall. The massive size and weight of the outcropping system makes it visually striking and extremely strong. Pieces are an eye-catching 2 to 6 feet in length, and 6 to 24 inches in height. The lower profile of Classic® 6 provides a longer, smoother appearance while maintaining all the special features of the Rockwood Classic family of products. Made at our Plant. 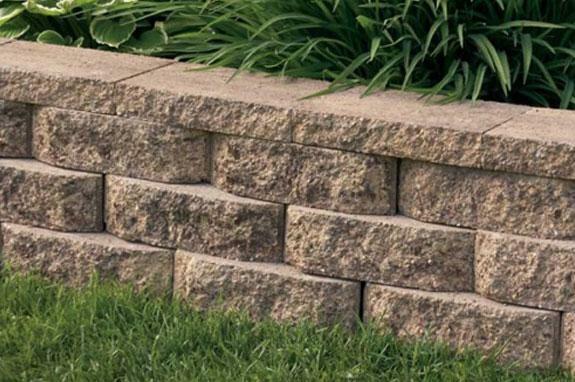 The Dimensional Wall Collection is a great choice for garden walls, freestanding walls, columns, and edging with hand-chiseled texture. 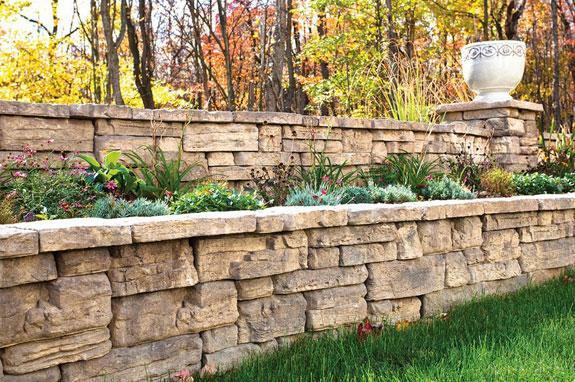 Classic natural textures compliment a variety of landscape styles. Gery, Auburn Ridge, Fondulac colors. 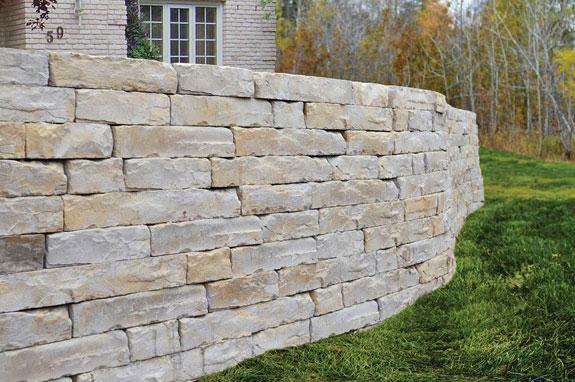 Inspired by the rolling hills of the English countryside, the Belvedere wall collection replicates quarried stone with more charm than any other man made product you have ever seen. 4 large, multi-textured unit sizes and corner blocks imitate snapped limestone. Consistent block heights make installation a snap. 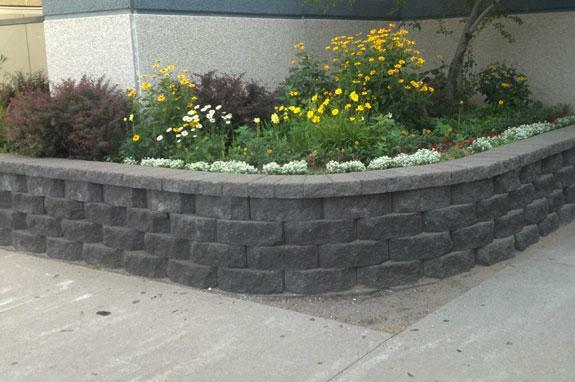 Blocks can be used for retaining walls or freestanding seat and garden walls.